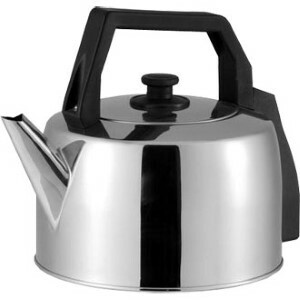 Aluminium Canteen Teapot. 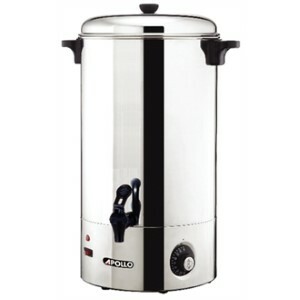 Ideal for large functions, fetes, PTA, Coffee Mornings. Available in 4 different sizes. 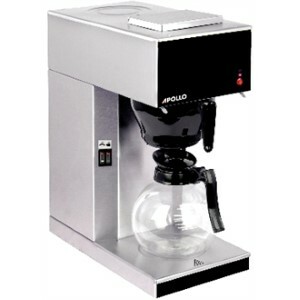 Apollo pour on coffee machine with two hotplates. 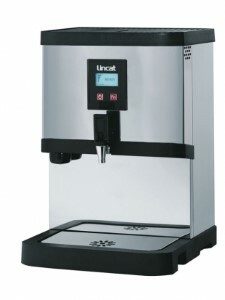 Independently controlled upper hotplate allows coffee to be kept warm whilst another jug dispenses for a constant supply. 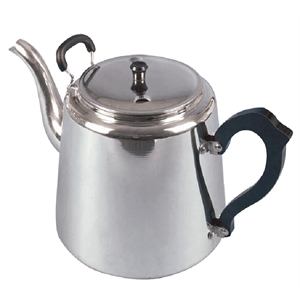 Ideal for busy cafes, restaurants, bars and bistros. 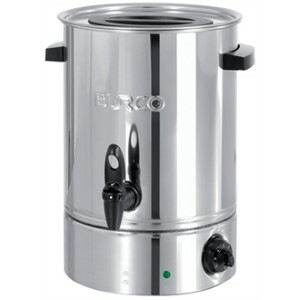 2.5 litre water boiler with 2kW element and boil dry protection. 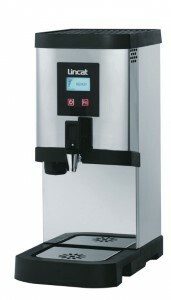 Fresh, hot coffee brewed at front of house in minutes and served in stylish glass insulated jugs and kept warm on individual hot plates. 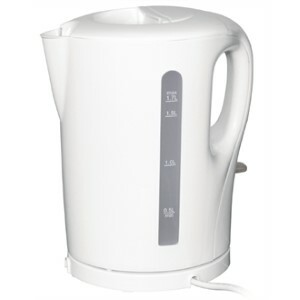 Ideal for staff and meeting rooms. 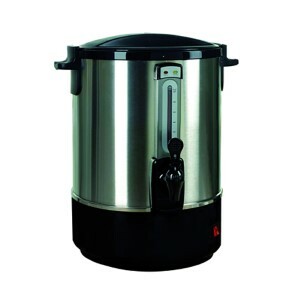 General use cordless kettle with stainless steel heating element, removable filter, ergonomic handle, auto cut-off and water level indicator. 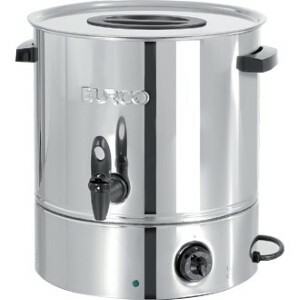 A fantastic budget entry manual fill water boiler available in 3 different capacities. 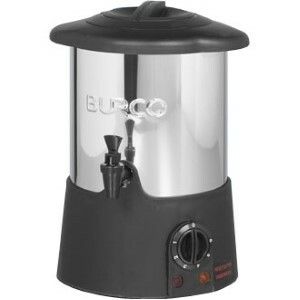 Large capacity kettle with detachable cord, boil dry automatic cut-out protection, wide-opening lid for easy filling and illuminated power indicator.